The coarse linen suits this pattern fine I think. 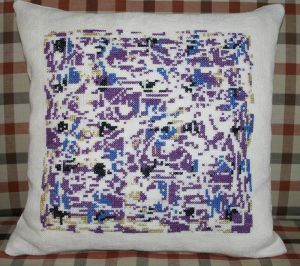 The patterns was drawn on my computer using DMC Cross Stitch Pattern Designer. This entry was posted in Inspiration and tagged pillow by admin. Bookmark the permalink.